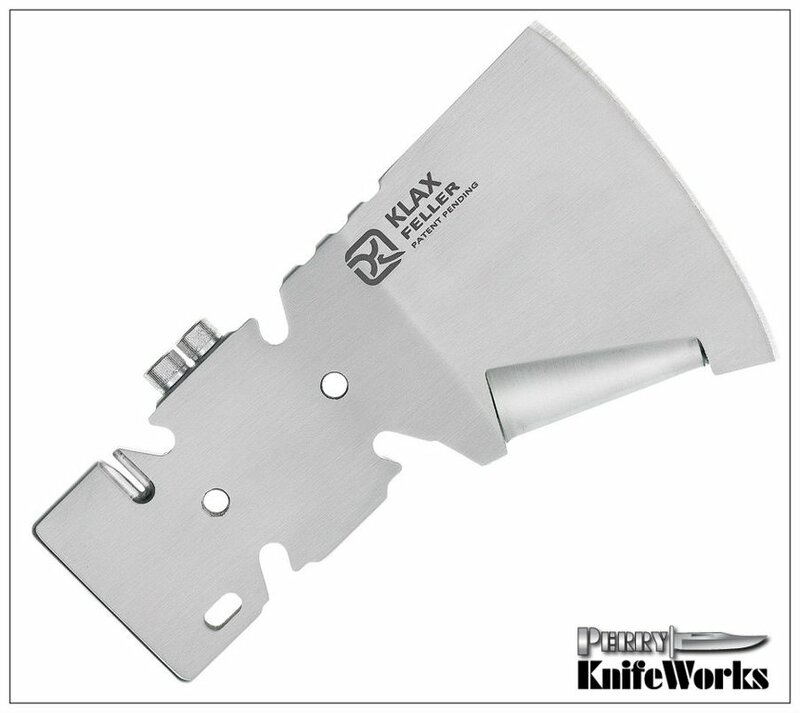 The KLAX Feller gets back to basics with just the right amount of mission-critical tools needed for outdoor survival at a value price that performs when it counts. The, provided, paracord lashing system supplies additional stability to the stainless steel, shock absorbing ax blade - perfect for camping, backpacking and all outdoor adventures. Turn the cutting edge around and use the blunt edge for hammering or the sharp underside blade for cutting. The lanyard hole safely secures the KLAX Feller to any object. A ballistic nylon blade cover with a Velcro closure and belt loop attachment is included for safety and easy portability.